Downloads the V4 XPS print driver. This driver uses the Add Printer Wizard. Install in Windows 8 and newer operating systems. Microsoft WHQL certified. 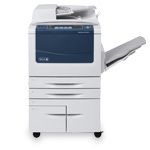 Note: Xerox recommends the use of this driver with the Xerox Print Experience Application. XPS Driver - 64-bit, Xerox User Interface - Microsoft Certified.